Darussafaka Dogus Istanbul recorded its second consecutive road win in Group D by downing Dinamo Banco di Sardegna Sassari 60-68 on Friday. 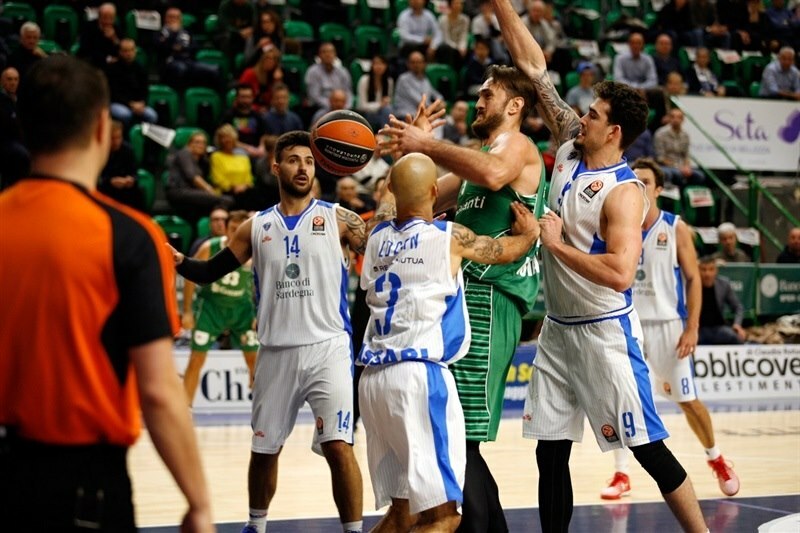 Darussafaka improved to 3-3, while Sassari dropped to 0-6. Luke Harangody paced the winners with 26 points on 4-of-5 three-point shooting plus 13 rebounds. 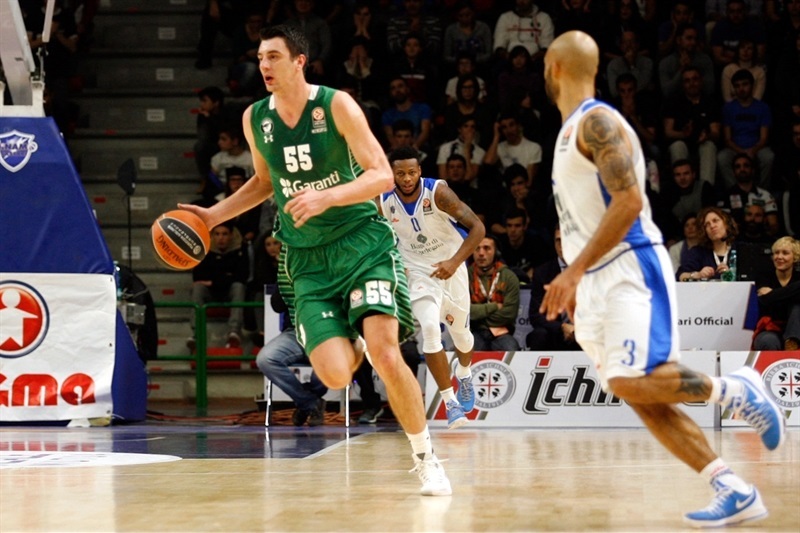 Emir Preldzic added 11, while Semih Erden had 10 points and 8 rebounds for Darussafaka. Joe Alexander led Sassari with 17 points, David Logan added 11 while MarQuez Haynes had 10 for the hosts. Giacomo DeVecchi and Haynes stepped up for Sassari early and a corner triple by Brent Petway gave the hosts a 16-12 lead after 10 minutes. Back-to-back triples by Preldzic sparked a 0-15 run, which Scottie Wilbekin capped with a bomb from downtown for a 20-27 Darussafaka advanatage. Alexander tried to change things for Sassari, but Harangody and Wilbekin restored a 30-37 Darussafaka edge at halftime. 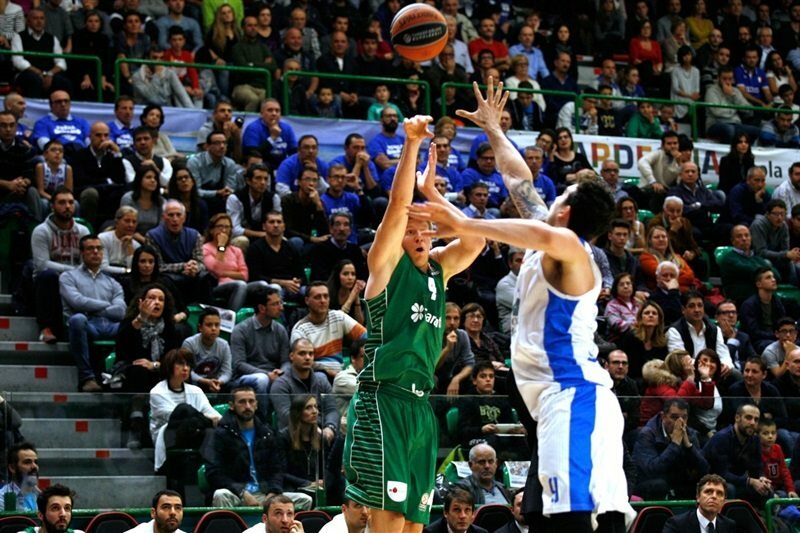 A three-point play by Logan gave Sassari the lead, 38-37, soon after the break. But Darussafaka found a go-to guy in Harangody, who had 10 points in a 0-13 run that gave the guests the lead for good, 38-50. Darussafaka led 41-56 after three quarters and kept a safe margin from that moment until the final buzzer. Semih Erden got Darussafaka going with a one-handed dunk and soon added an alley-oop slam. 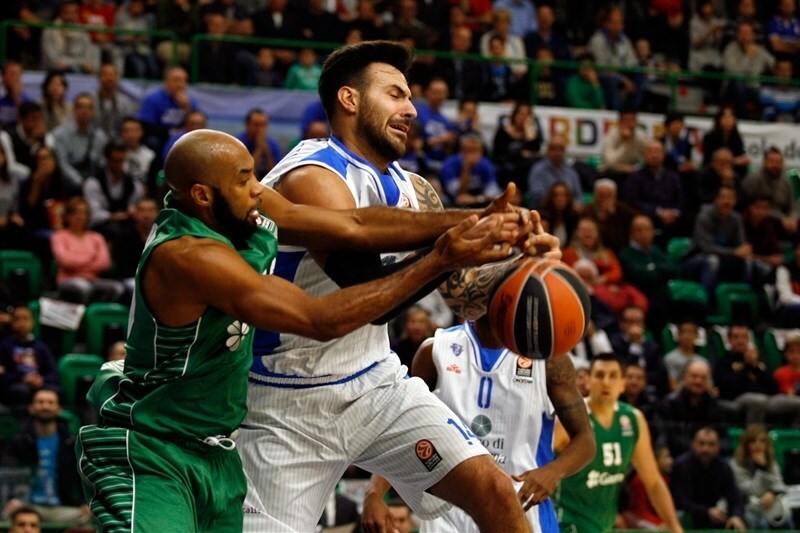 Sassari was held scoreless for more than two minutes while a dunk by Milko Bjelica gave the guests a 0-6 margin. MarQuez Haynes downed a baseline jumper, but Darussafaka, led by Jamon Gordon, dominated the game with great defense. Giacomo DeVecchi hit a mid-range jumper, which Brian Sacchetti followed with a bomb from downtown to give the hosts a 7-6 lead. Darussafaka tried a taller lineup with Gordon and Reggie Redding at the guard spots. After Bjelica made free throws, DeVecchi split attempts. A big basket by Erden put the guests back ahead, 8-10. Haynes shined with a layup-plus-foul. 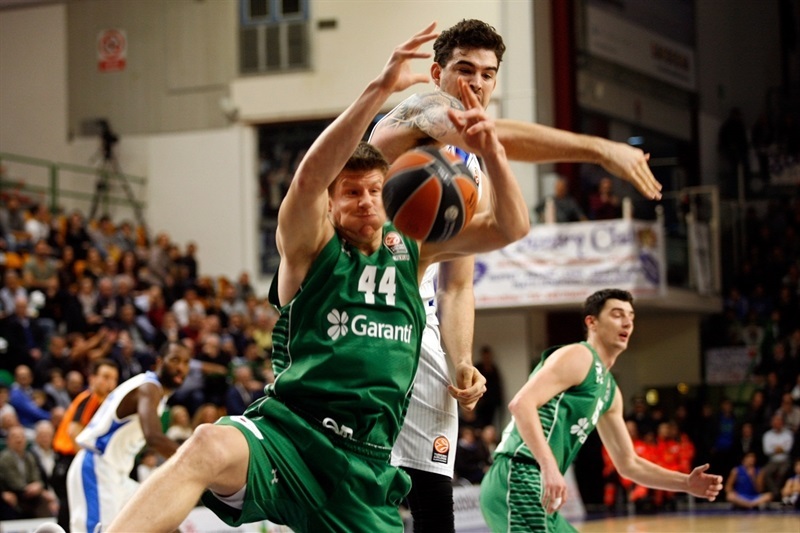 Luke Harangody sank a mid-range jumper, but so did Joe Alexander for a 13-12 Sassari lead. Bent Petway buried a corner triple to boost the hosts' margin to 16-12 after 10 minutes. Alexander made free throws early in the quarter and soon added a driving layup, after which Darussafaka called timeout at 20-12. Emir Preldzic stepped up with a three-pointer and soon added another to bring Darussafaka within 2. Gordon shined with a put-back layup and another jumper by Harangody completed the guests' comeback, 20-22. 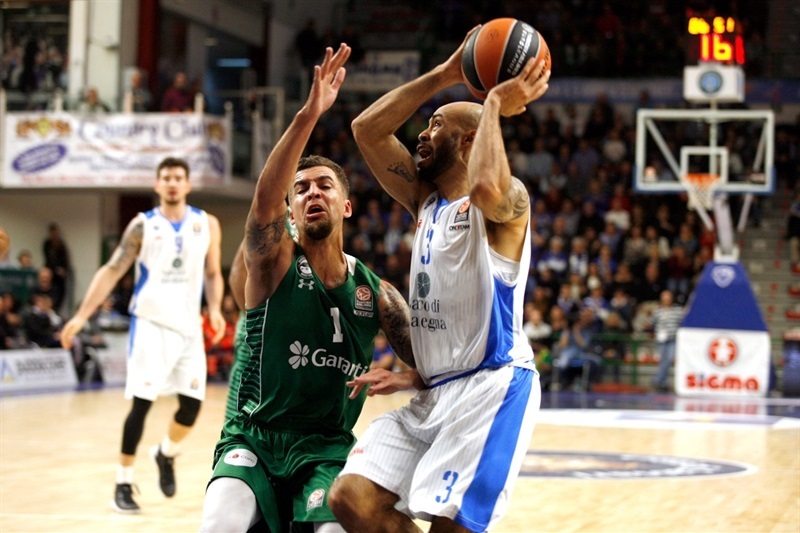 Sassari missed 6 consecutive shots and committed up a couple of turnovers, while an alley-oop layup by Harangody and a big triple by Scottie Wilbekin capped 0-15 Darussafaka run. The hosts were held scoreless for almost five minutes until David Logan split free throws. Alexander tried to change things with a layup, which Harangody bettered with a three-pointer for a 23-30 Darussafaka lead. Alexander downed a five-meter jumper, which Marcus Slaughter matched with a layup. Haynes struck from downtown and Brian Sacchetti made free throws, but a reverse layup by Harangody gave the guests a 4-point edge. A three-pointer by Wilbekin fixed the halftime score at 30-37. Brian Sacchetti hit a catch-and-shoot six-meter jumper right after the break and DeVecchi added a three-pointer to bring Sassari within 2. A three-point play by Logan soon put the hosts back ahead, 38-37. Harangody hit a jump hook, which he followed with a big triple that gave Darussafaka a 4-point lead. 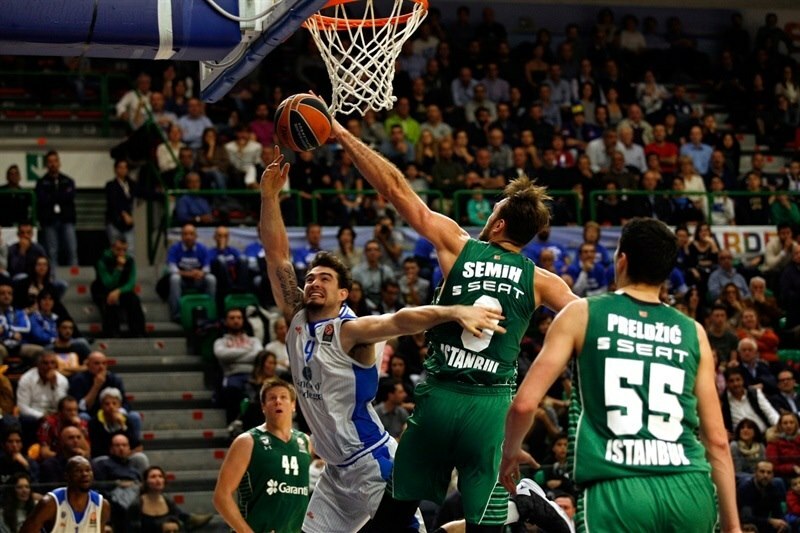 Erden shined with a put-back layup and a free throw by Preldzic made it 38-45. Harangody finished a great team play with a wide-open three-pointer and soon added a fast break layup that capped a 0-13 run. Logan struck from downtown, but Manuchar Markoishvili hit a one-handed jumper around the baseline and another big triple by a red-hot Harangody broke the game open at 41-55. A free throw by Preldzic boosted the guests' margin to 41-56. Jarvis Varnado hit a jump hook immediately after the break and a jumper by Christian Eyenga - his first points - gave Sassari hope at 45-56. Petway picked up a midcourt pass from Logan to detonate an alley-oop slam, after which Darussafaka called timeout at 47-56. 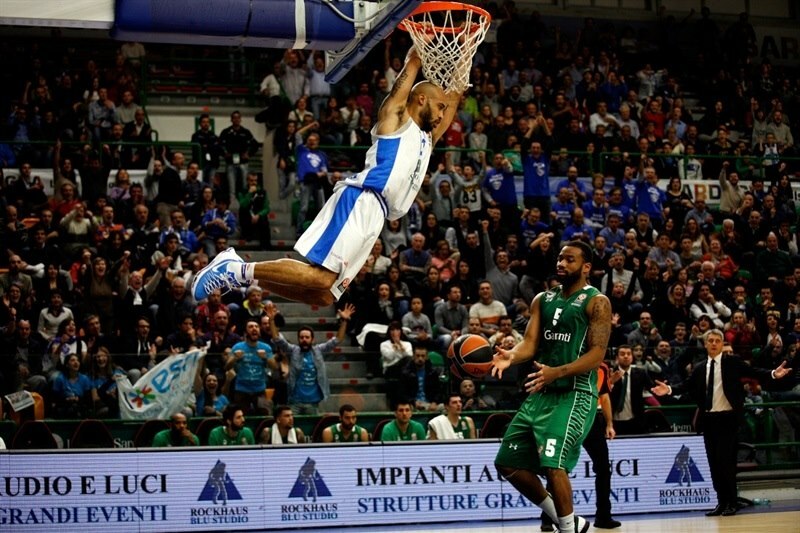 A steal by Eyenga allowed Logan to dunk at the other end, capping an 8-0 Sassari run. 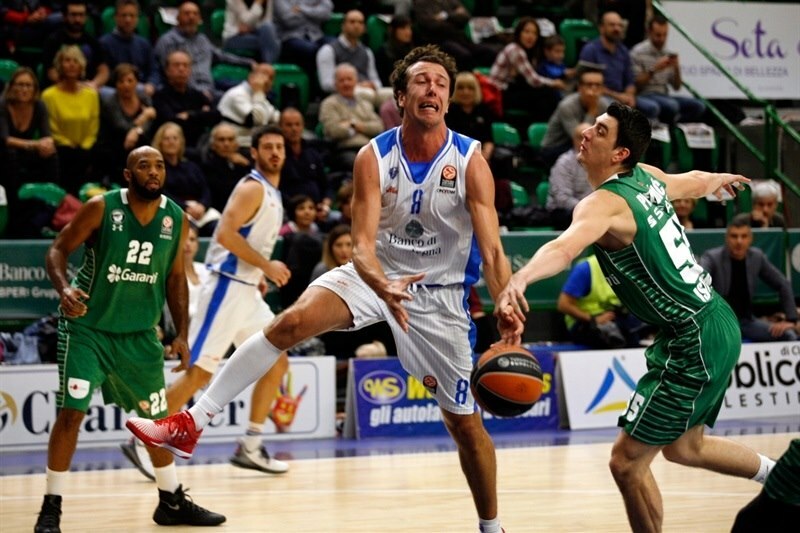 Sassari missed a couple of three-point shots and could not keep its momentum going. Preldzic took over with a bomb from downtown to keep Darussafaka out of trouble, 49-59. 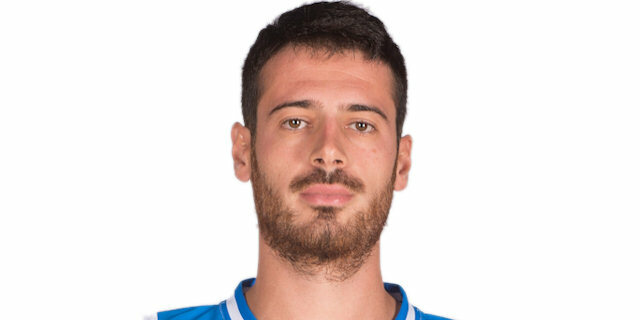 Alexander downed a five-meter jumper that Markoishvili improved on with a three-pointer. Alexander kept pushing the hosts with free throws and a dunk by Erden sealed the outcome, 53-64, with over three minutes to go. Sassari called timeout and never gave up, but Darussafaka had cruised to its second consecutive road win. 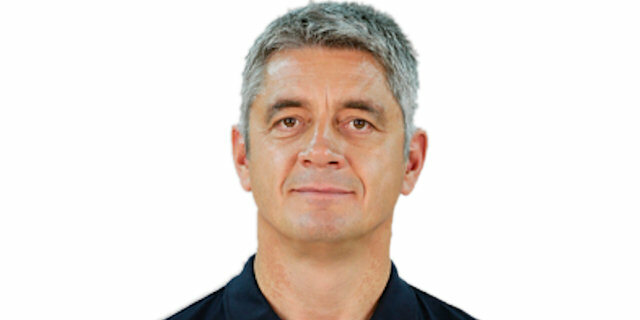 "We can do more, so I'm expecting more from each one of my players, especially at the Euroleague level. We did some important things, but there was a physical gap and we weren't able to make open shots. We missed some important open shots and you have to make these shots to win this kind of game." 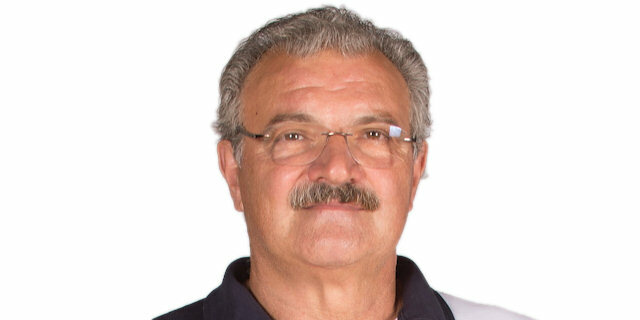 "First of all, I want to congratulate Sassari fans. Why? Few teams when you enter the building and in the presentation make you feel welcomed, and that is really nice. I would like to say it was a tough game. It is always tough when you play in a hot court like this. They play a little bit atypical, much more individual talents, spreading the floor with Alexander and Haynes. We led at one point, got some open shots against the zone, slowed down, made some, let's say, stupid mistakes and at the end, we managed to win. We allowed some open shots, but in the end, we won. It is important - when you win in the Euroleague by 8 points, you say it was a good, easy victory. I would not say it was easy, but for sure, I think we deserved it because we led most of the way and had control of the game in our hands." "I think that we made a step forward tonight, especially on defense, and we showed it by keeping Darussafaka to a low score. We got a reaction today. We have to keep going, to believe in ourselves and to keep working hard." "First of all, this is a huge win for us. To come here on the road, in a tough place to play, against a great team, this is important for us in the Euroleague. There are a lot of things we need to clean up, but overall, tonight I think we played a great game. This team is still learning how to play with each other, but I think that in the past few games you can tell we are coming together, we are playing a lot better and learning each others' game. It is getting more smooth every game. My teammates got me involved tonight. The couple of first ones dropped and I felt good after that. We won a great and tough game with a tough team. It's always important to win road games, especially in the Euroleague. Both teams have grown since Round 1. We could see it from turnovers: we didn't make so many as in Round 1."